I love to read. If you have clicked to this article or hopped here from google, I am sure you are as passionate about books as I am. I never knew I’d be so desperate for books, until I became pregnant and had children. Really… am I the only one who needs to read a book on each of my symptoms and feel reassured only if an expert wrote it in a BOOK and a dozen websites confirmed it?! Left without a choice, I resorted to buy whatever I needed. Two years later, I had quite a good collection in my little library . A few pregnancy books, baby care books, toddler recipes, crafts magazines, crochet patterns and a cute little collection of board books for my year old son. We had just discovered that I was expecting again and we couldn’t afford to be spending on books any more. If I had to read, it would have to be through a library subscription. But… where were the libraries in Jeddah?? So back to googling and asking around. In the past 9 years, my knowledge about Jeddah has grown, as has my friends circle here. I have met new people and shared new experiences with them. Together, we have seen the sprouting up of newer opportunities and encouraging communities for new moms moving here. Books, advice, encouragement, motivation, learning new skills… it is easier now and sometimes, it is just a click away. A few years ago, the King Fahd Public Library (finally!!) opened in Jeddah. We have seen some new privately owned ones starting too. So, for all of you who are looking for libraries in Jeddah, this list is for you! 1. King Fahad Public Library. On King Abdullah Road, just before Salam Mall, is the newly opened King Fahd Public Library. It has the biggest collection of books in Jeddah. They have a section for women and children with regular activities for them. It is very spacious and they have a play are for kids. They are open till 8pm in the evening. On Hail Street, at the corner of the Egypt Air building, is the Ministry of Education and inside, they have a library. I have only heard that it is public but never been there. I have been told they have only educational books. This is the old public library in Old Jeddah. It is located at Khozam Park in al Nozhla al Yamaniyya area next to the Islamic Development bank near the water tower. It is behind the Jeddah TV station. Click the link above for the coordinates. The British Consulate has a Community Library with over 20K books. They have an affordable fees and they are open to all nationalities. You can read more about British Council Library on Jeddah For Kids where they have done a very good review of it. The directions and details to get to the library are on the site. Jeddah Cultural Exchange Center (JCEC), which is in Al Hamra District near the Turkish Embassy, has a small Library for adults that is actually a book swap. It is free and for books in English for adults. Check their Facebook Page for details. They conduct other activities like historical tours, museum visits, movie nights and get togethers too. You can find more information about the Jeddah Cultural Center on their Facebook Page . My Library in Rawdah district, is a not-for-profit private library for moms and children. They have a very good collection of books in English and Arabic, with a few books in other languages like French and Spanish too. Basically, they are a Children’s Library, but they have a separate section for teens and adults with lots of classics and popular novels. They also carry Islamic, travel, crafts, cooking and activity books for both kids and adults. My Library conducts art and craft activities for children every Saturday morning and sometimes through the week too. They have a reading hour in the morning and evening every day. You can learn more about them through their Facebook Page. We have been going to My Library since 2010 and it remains one of our favourites. My children were very fond of their librarians. The story hour at 6pm is the best. We also enjoyed their activities and bringing home our crafts. Jeddah for Kids have a review of their visit if you are interested. The Book Ledge is an online lending Library that started recently. They have children’s books for 0-6 years plus some parenting, homeschooling and pregnancy books. They have an online catalogue that you can browse and order from. You can also buy their books. They deliver all over KSA. You can see their Facebook Page for more details. Sumrana from Jeddah Mothering, is a Certified Childbirth Educator & Doula. She is also a WHO/UNICEF Breastfeeding Counselor, who does in-person and online classes. She lends her pregnancy, parenting and breastfeeding books for a nominal fee. If you are a new mom or mom-to-be, looking for books in those topics, you can try her. You can contact her through the Jeddah Mothering Facebook Page. These are the libraries in Jeddah that I know of, so far. If you know any more, please feel free to contact me on my Facebook Page or leave me a comment below. I’d love to add them to this list. Tell me if you’ve tried any of these places too. I’d love to hear of your experience. Do share this list with others who may benefit. 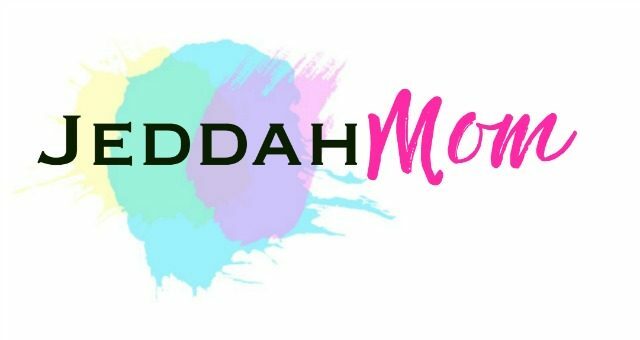 Don’t want to miss my posts on JeddahMom? Subscribe to my newsletter below. Search for more posts in the ‘Where in Jeddah’ Series. Thank you so much for commenting. I’ll correct the info and add in the missing details.